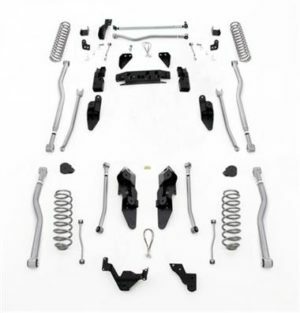 Kit Includes Front and rear coil spacers, rear sway bar brackets and shocks. Daystar Lift Kits work within the factory suspension design, meaning that we work within the factory’s design parameters to achieve an increase in ride height. Because we work within the factory design, there are not a bunch additional modifications involved that adds complexity and expense to the kit. Everything needed is included in the kit; there’s everything you need and nothing you don’t. 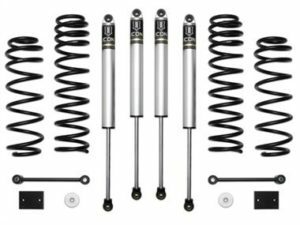 If there are extra items required, such as longer shocks, it’s clearly stated in the application description.